-World Speed Pistol and Speed Shotgun, three time Couples and three time Family World Champion and Spirit of Game award with Wicked Felina and Holy Terror. Lots of regional and state overalls. Currently Regional and State Champion in my area. As one of the all time top Cowboy Action Shooters in the U.S.A., Evil Roy has held National and World champion titles. His granddaughter, Holy Terror, also holds National and World championship titles in both youth and adult classes. His wife, Wicked Felina, is also a serious shooter. The family competes together in most SASS Regional, National and World championship matches. Evil Roy, Wicked Felina and Holy Terror are the '1st family of CAS'. Visit Evil Roy's website. Evil Roy on Facebook See Evil Roy in action on video. Pistol Packin' Paula is not just the girl next door. When Paula gets ready for her work, as a western entertainer, she grabs her nickel plated .45 Cimarrons instead of a briefcase. She twirls and shoots her two .45 Cimarron revolvers and is the only woman in the U.S. who twirls real guns professionally. Visit Pistol Packin' Paula's website. -World Champion Gun Twirler twice in 2006 & 2009 View Paula's video. My Movie, it is coming out in January called The Adventures Of Pepper and Paula. It is based on some of my life story. Cimarron is one of the sponsors of it and of course some of the clothing and guns were used in it especially my guns. Also I was on America's Got Talent in 2013 and of course using Cimarron's guns. Phil Spangenberger has been a regular part of Guns & Ammo magazine for nearly 40 years. He served for more than two decades on this best-selling publication as a staff editor, feature writer, and Black Powder columnist. Now as a free-lancer, he serves as the Firearms Editor for True West magazine, contributing feature stories and his regular column, "Shooting From the Hip," which is devoted to covering original and replica firearms and related gear for Old West enthusiasts, classic arms collectors, and sports shooters. He also writes for other periodicals like Harris Publications' Guns of the Old West, and others. Having earned quite a following with single-action six-gunfans, Phil is considered as the man who inspired the exciting equestrian and shooting sport of Cowboy Mounted Shooting. As a founding member of this fast-action equestrian/shooting sport, he serves on the Board of Directors of the Cowboy Mounted Shooting Association, better known as the CMSA. The Spangenberger name has become a familiar one in the entertainment industry too. He's been featured as an on-camera interviewee in several top television programs such as The History Channel's "Tales Of The Gun," "Modern Marvels," and their popular "Wild West Tech" series, to name a few. 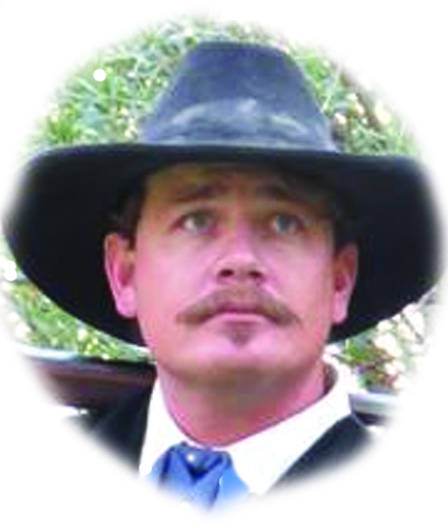 In these and other shows, he has worked as a character actor and serves behind the scenes as well, functioning as a historical consultant and re-enactor coordinator, supplying authentic looking actors, horses, saddlery, and other props and equipment of the frontier era, helping give these productions a unique, authentic flavor. Phil has also performed as a fancy gun handler and mounted trick shooter in Wild West shows around the globe and has produced his own shows in the U.S. He's been a Hollywood gun coach to such stars as Will Smith, Mel Gibson, Charlton Heston, Freida Pinto and Ryan Kwanten, along with many other top screen actors. To Phil, the Old West is a way of life! View Phil's Cimarron interview video. - Top Performance Horse and Rider award, while riding his buckskin quarter horse "Wyatt," at the Arizona State CMSA Championships in 1999. Clayton Marxer "The Adventure Cowboy"
Clayton Marxer is a genuine cowboy who comes from the high-mountain cattle country along the border of Montana and Idaho. Clayton has been fascinated with firearms since he was a toddler. At age 7, he started hunting small game and varmints with a lever action Daisy BB gun, a passion which would develop in him over the years into what he is today. As a young man he was a member of the 4-H Shooting Sports program, and eventually won many tournaments and contests as a 4-position shooter. At the age of 12, Clayton started using the skills and knowledge, which he had developed as a competitive shooter, to begin his career of big-game hunting. Eventually, Clayton transitioned away from competition shooting, and focused his shooting and training on the hunting sport. Clayton has has hunted with many different weapons over the years, and he appreciates the challenge that each type of weapon brings. Whether hunting with archery equipment, pistol, scoped rifle, or iron-sighted rifle, he loves the adventure. Of all of the weapons that Clayton uses, his favorite are the traditional cowboy guns that won the west. His main hunting rifle is a Cimarron "Billy Dixon" 1874 Sharps in 45-70. Clayton recently was featured on a hit hunting TV show where he dropped an elk in it's tracks with a standing, off-hand shot at well over 200 yards away with his Cimarron Sharps. He is also an actor, stuntman, and assistant armorer on a western film series which is currently in production. His Cimarron "Billy Dixon" will be featured throughout the film, as well as, several other Cimarron firearms. The film series is currently set to release around July 4th, 2016. Firearms are an important tool for Clayton. As a big-game hunting guide and an avid hunter himself, Clayton depends on firearms to function correctly and safely, often in extreme conditions. Over the years, he has seen virtually every type of rifle be used for hunting, and knows the value of a quality firearm first-hand. That is why he chooses Cimarron Firearms as his source for quality cowboy guns. To learn more about Clayton, go to his website at adventurecowboy.com and follow "The Adventure Cowboy" on Facebook, Instagram, and Twitter (@theadventurecowboy). Diana’s life long love of horses started when she could first walk, leading around her imaginary horse on a string. She continued in 4-H with her first “real” horse Bambi. Diana started showing Appaloosa’s in the early 80’s. 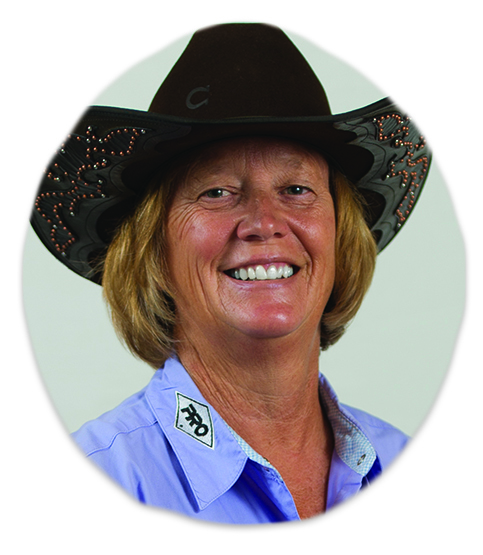 She has taken horses to National club championships and top 10 world titles. She campaigned her late stallion, Macado, to his superior title in Halter. She has competed in halter, western, english, trail and reining. In 2004 she competed in her first Mounted Shooting Match and the rest as the say is history. She has taken three horses to world titles in Mounted Shooting. Diana is a lifetime member of the Appaloosa Horse Club, National Reining Horse Association, Cowboy Mounted Shooters. CMSA Ladies level 2 World Champion. Copyright © 1998-2015 Cimarron Firearms Co. Inc. All graphics on this site belong solely to Cimarron Firearms Co. Inc. The use of any graphic on the site is strictly prohibited.